Property 55: Listed Georgian 4 bedroom cottage to sleep 8 people. Ideal for families. Property 57: Seagull Cottage - 1 bedroom cottage in Heart of Looe town. Property 60: NEW FOR SUMMER 2018! 5 min walk to the beach, village setting. Property 66: 2 bed cosy cottage in Mid Cornwall, 10.5 miles to beaches, garden and parking. Fantastic value 3 bed cottage. Property 71: Fantastic value 3 bed cottage. 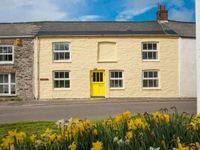 Property 72: Luxury Grade II listed Cottage in St Kew - close to Port Isaac. Property 73: Garden Cottage, A Pretty Retreat, Perfect For A Couple Or 2 adults + 2 kids. Property 74: Luxury bungalow with outstanding countryside views. Ideal romantic getaway. 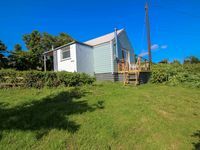 Property 76: 2 bed Cornish cottage with panoramic views of St Austell Bay. Golf on doorstep. Property 79: Luxury Barn Conversion in Tranquil Village. Ideal Location for both Coasts. Property 93: Perfect getaway cottage on the riverbank with a large south facing deck. Valley views, private garden, close to beautiful beaches. Property 100: Valley views, private garden, close to beautiful beaches. Beautiful cottage. We arrived and it was a chilly afternoon but the cottage was warm thanks to the cosy heater in the sitting room being put on for us. Super comfy beds with crisp white linen and soft pillows made for a great nights sleep. The kitchen is one of the best stocked I&rsquo;ve seen, everything anyone could need. The neighbours popped in and were lovely, really friendly. The only negative I found and it&rsquo;s not anything the owners can be responsible for, was the traffic noise and proximity to a very busy road.